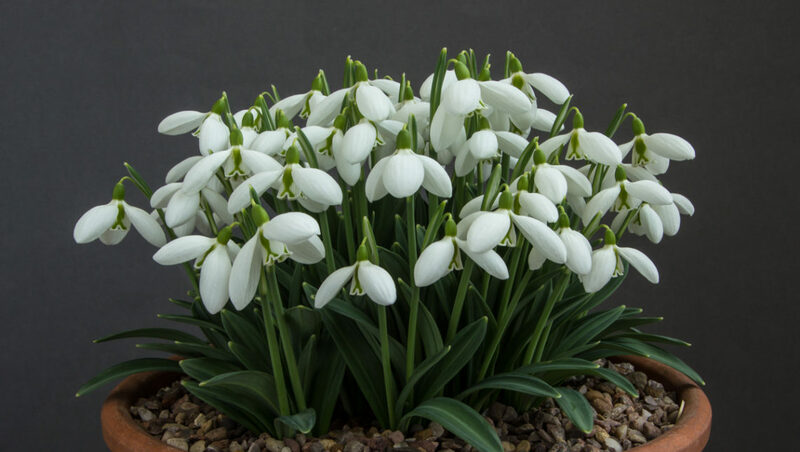 Narcissus ‘Camoro’ was selected as the most vigorous seedling from a cross made back in 1975 by Margaret and Henry Taylor. 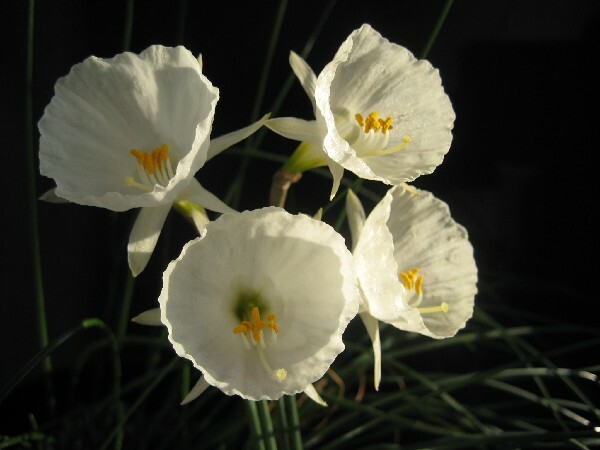 They chose Narcissus cantabricus subsp. monophyllus (the ‘CA’ and ‘MO’ of the name) as the seed parent and Narcissus romieuxii (the ‘RO’) as the pollen parent. To all intents and purposes it looks like Narcissus cantabricus subsp. 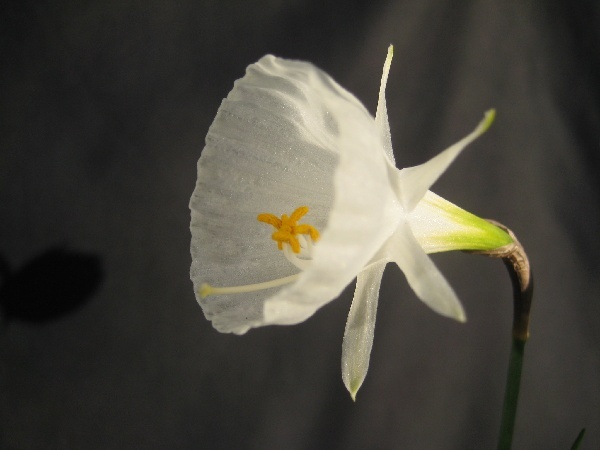 monophyllus, with its anthers completely included in the pale creamy-white corona of the flower (those of Narcissus romieuxii are exerted). 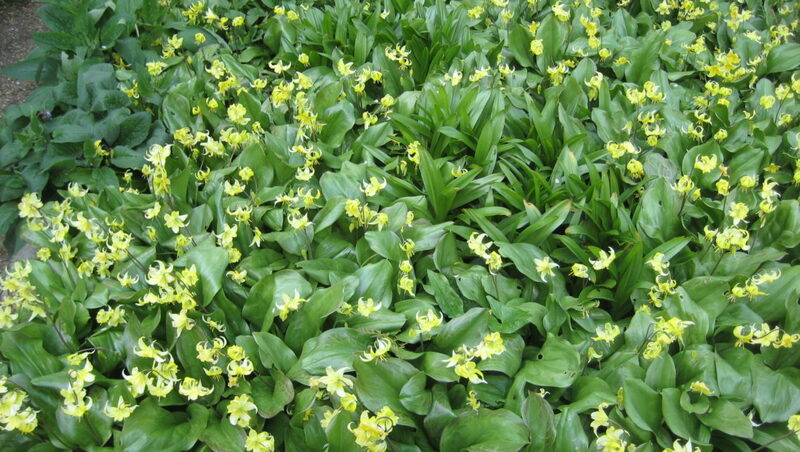 The clue to its hybrid identity is in its floriferousness, uncommon in the maternal progenitor it most resembles. If only it had inherited the ‘monophyllus’ aspect as well (the leaves can become a little overpowering as the season progresses). 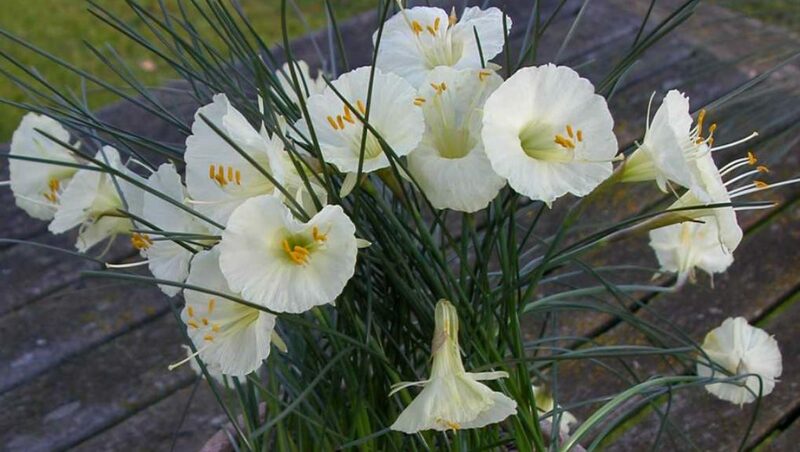 Look out for seed as, like many Narcissus hybrids, this selection can produce masses of it.